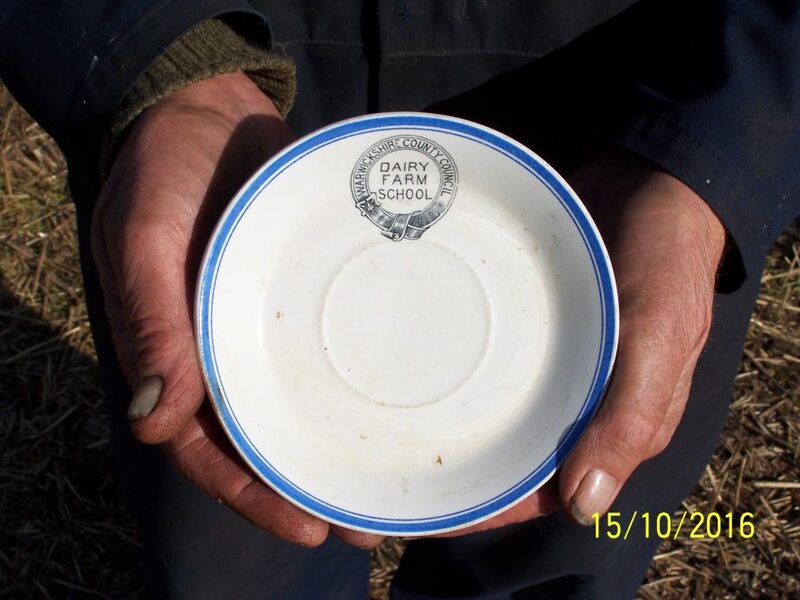 Saucer from a Dairy Farm School. This saucer, no doubt from a set, was shown to myself at the recent WVTMS Annual Ploughing Match at Warwick back in October. Knowing nothing of the above, enquiries were made at work, within our club, and later on the internet. This provided a mention of the Warwickshire Agricultural Show being held in Victoria Park, Royal Leamington Spa on the 19th & 20th July 1899 where it refers to “the Warwickshire County Council Travelling Dairy School, and the winner of the butter making competition was Miss L. Digwood from Henley in Arden”. 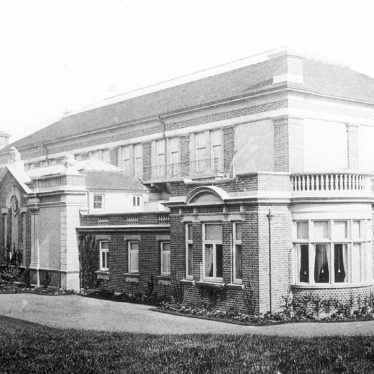 There is also a mention in the WCC Education committee minutes of the closure of the Dairy School in 1915/16. 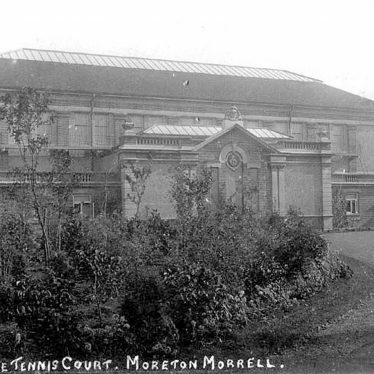 From what could be found, the Dairy Farm was located at Halloughton Grange, Nether Whitacre in North Warwickshire and went on to eventually form what is now the Warwickshire College, Moreton Morrell. 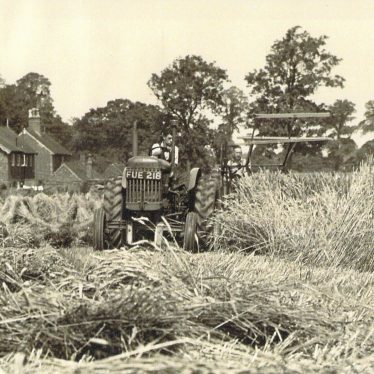 This article was originally published in the Warwickshire County Council Smallholdings Newsletter for March 2017.